Severe thunderstorm and flash flood warnings for parts of the D.C. area have expired. The National Weather Service says that shortly before 3:40 p.m., Doppler radar indicated a severe thunderstorm capable of producing quarter-size hail and winds in excess of 60 mph. 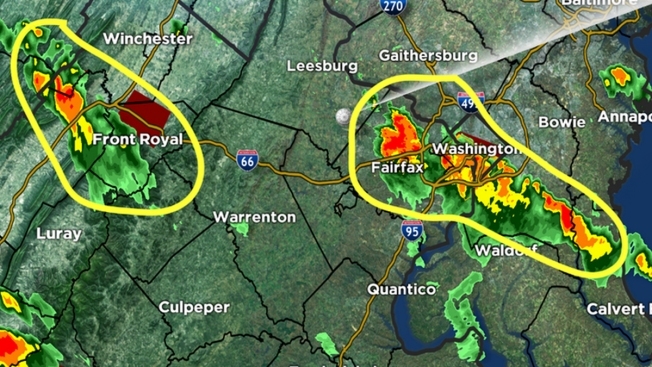 The storm was located over Crystal City, and was moving southeast at 5 mph, the NWS said. Remember to never drive through standing water.